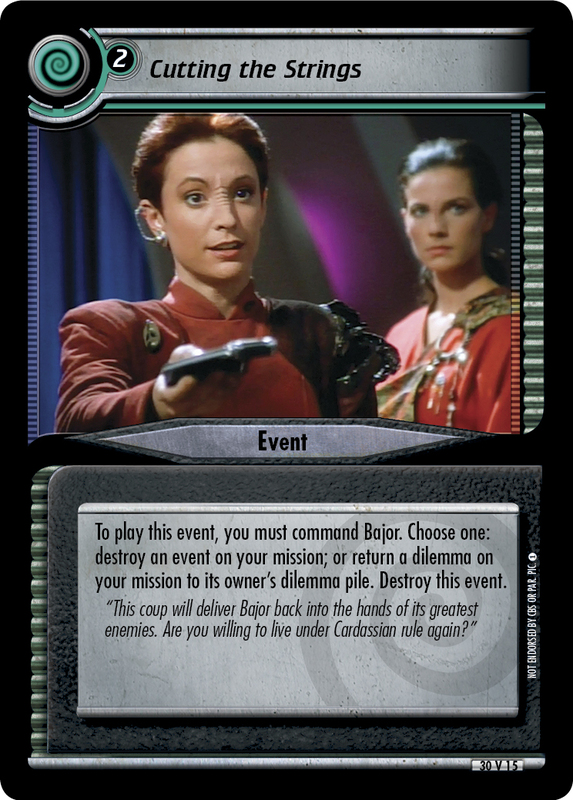 To play this event, you must command Bajor. 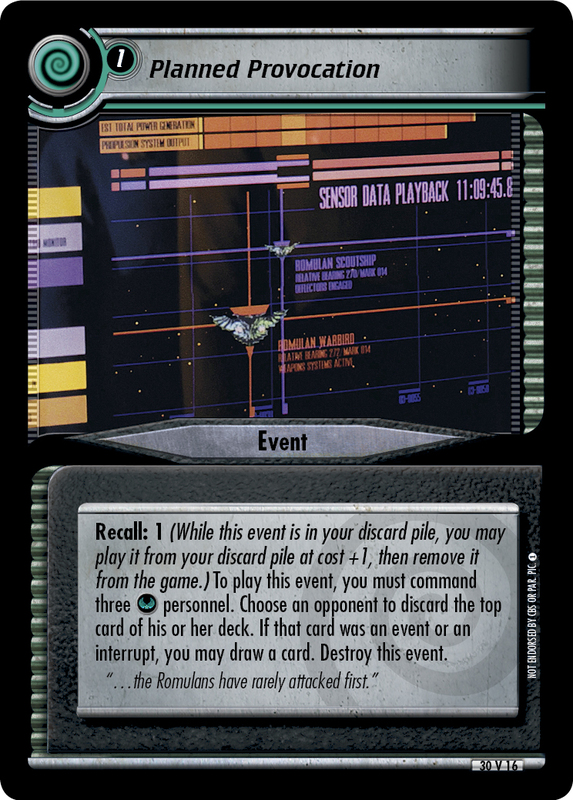 Choose one: destroy an event on your mission; or return a dilemma on your mission to its owner's dilemma pile. Destroy this event. 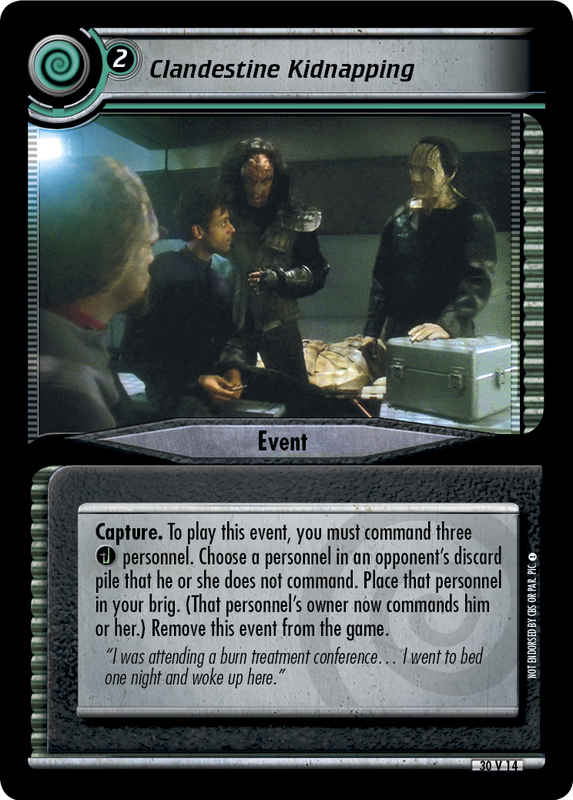 "This coup will deliver Bajor back into the hands of its greatest enemies. Are you willing to live under Cardassian rule again?"